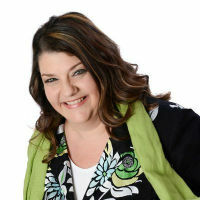 Angie McLeod is the founder of HIP Strategic Consulting in Maple Ridge. For more than fifteen years, she has helped women entrepreneurs in BC make strategic decisions that grow strong businesses. Angie is passionate about conversations: conversations that connect people, stimulate ideas, produce change, and engage participants in collective discovery and co-creation; conversations that enrich the community. HIP Strategic Consulting’s core services include facilitated mastermind groups and accountability programming that help women entrepreneurs strengthen their business acumen and capacity. Angie has successfully operated her business while raising two beautiful children, and volunteering in her community. I am passionate about helping women be “wildly successful on their own terms” – whatever those may be. I love to challenge women to live in the “uncomfortable” zone and to disrupt their normal in order to be their best self and to achieve their goals and dreams.